The Retreat at Westlock is a new 62 and older senior community featuring spacious one and two-bedroom apartment homes in Northwest Harris County. You’ll find amenities including 9-foot ceilings, covered entries, patios, and balconies, a theater room, sparkling pool and business center. 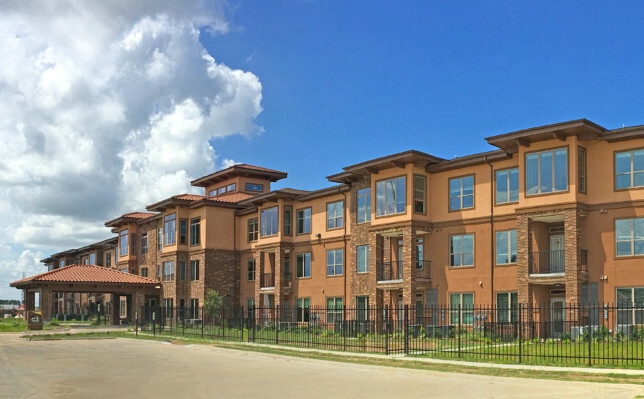 Just minutes away from the Vintage Park shopping center, Willowbrook Mall, restaurants, grocery stores, medical facilities, places of worship and State Highway Beltway 8, The Retreat is the perfect place for visiting with friends or making new ones. Contact our friendly staff today and let them welcome you home! To schedule a leasing appointment please contact 281-516-2300.